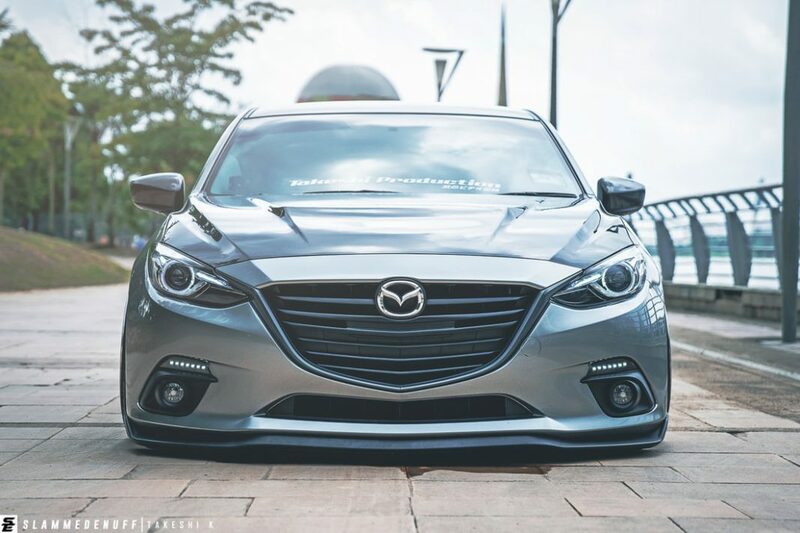 If anyone ever posed the question, ‘Which stance cars look the most stylish and sober?’ Then the answer would unanimously be the 2015 Skyactiv Mazda 3. The Mazda 3 is one of the most versatile and stylish stance cars that have been produced in the present decade. 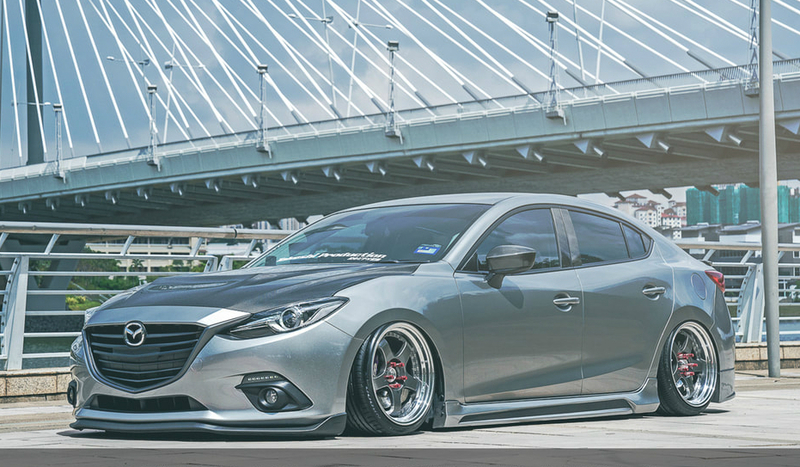 Mr. Takeshi has been modifying cars for a very long time now and it is without a doubt that the Skyactiv Mazda 3 is one of his best works ever. 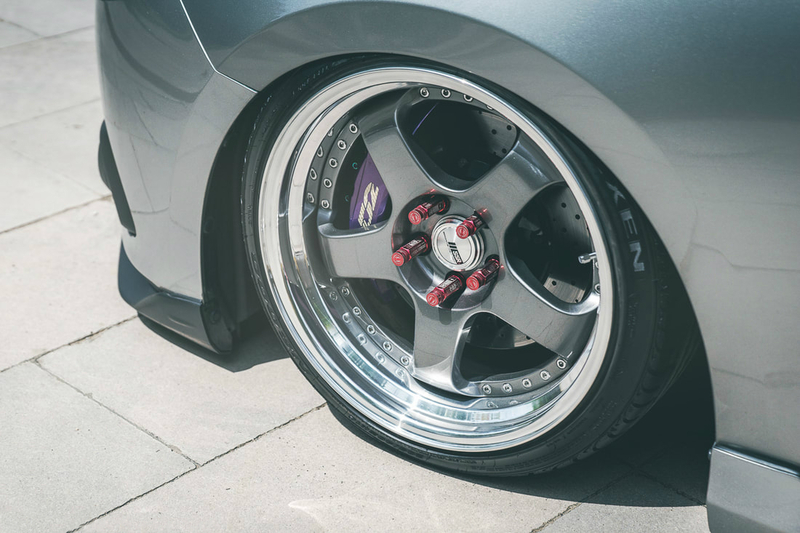 Initially, Takeshi had intended the stance car to have a clean and sharp outline; he ultimately achieved this goal. 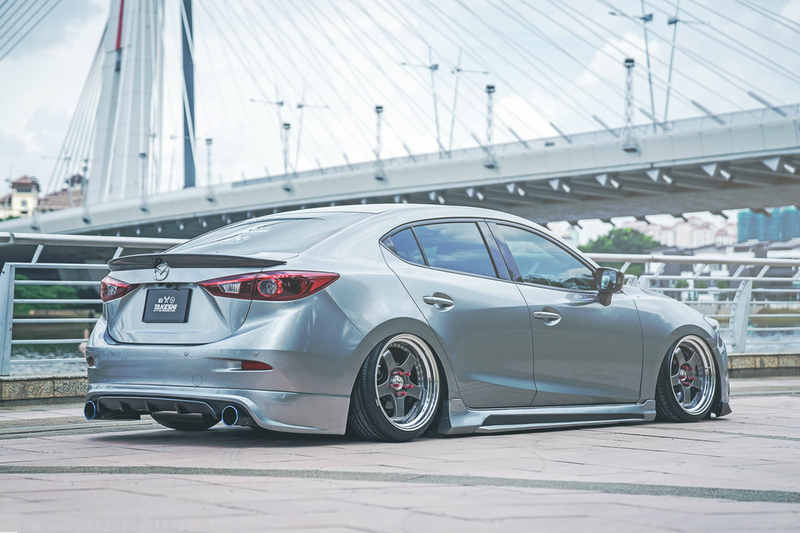 The exterior of the 2015 Skyactiv Mazda 3 is one of the most premium exteriors ever built for any stance car. It has a variety of features and touchups which complement its amazing style and outlook. The exterior has been made to be extremely strong and sturdy. 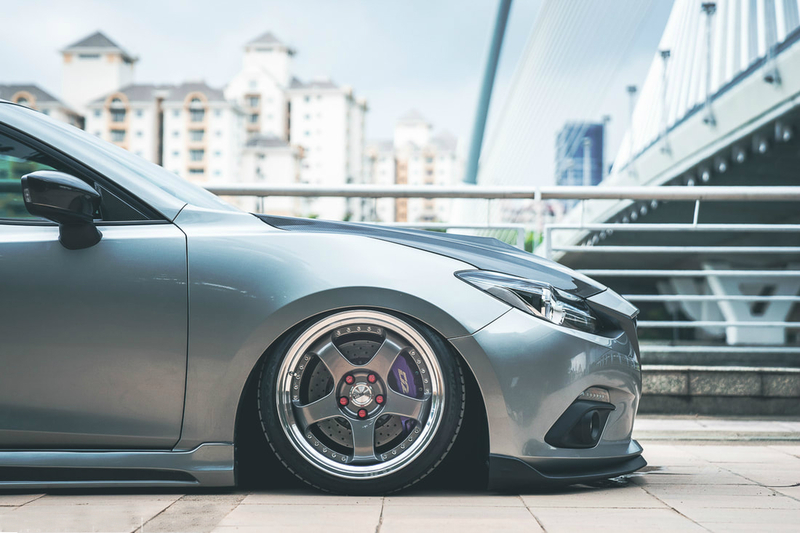 Takeshi has gone all out and generously used Carbon Fiber as the main highlight of his stance car. 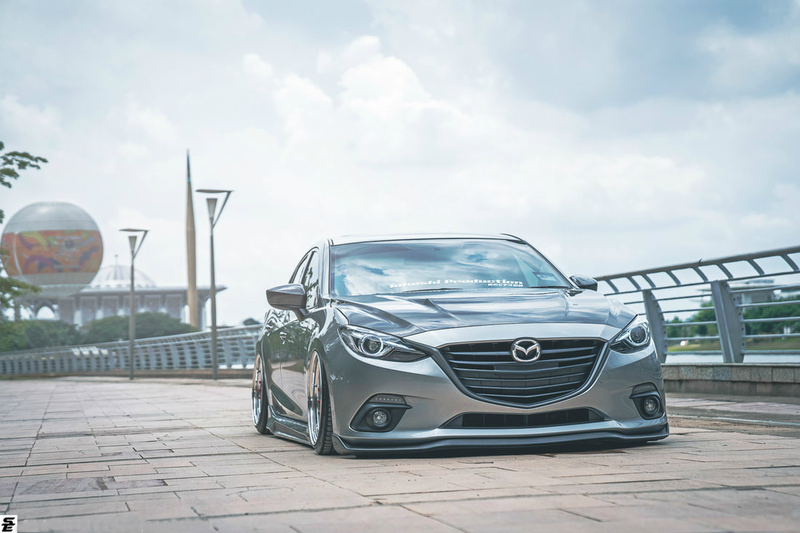 The bonnet hood has been made from carbon fiber and styles a silvery sleek style that greatly complements the official style of the vehicle. 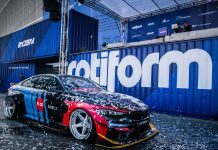 The car also features storm design side skirt which adds to the aerodynamics of the car and boosts the overall performance of the car. The fuse box cover and the engine cover have also been made from carbon fiber which makes it strong and prone to dents and blemishes on the car. The interior has also been lined and manufactured using carbon fiber just as the exterior has been. The excessive use of carbon fiber on the vehicle assures that the car is one that is sturdy and robust. The sound and music system on the car is one that is extremely impressive. It uses a Dominations CSF4 speakers which provide ample sound quality and are able to provide all the necessary bass. It also includes a 12-inch subwoofer able to produce the high bass sounds necessary for some EDM music. The display is average, however. The car utilizes a CAG standalone OBD display which is average at best.